Dairy farm management training program for staff and customers of Dairy companies, Dairy Feed companies, Animal nutrition companies, Dairy Farmers Organizations, Dairy Organizations, Veterinary pharmaceutical companies, Dairy Genetic companies, Dairy Consultants. Our tailor-made Dairy Herd Management courses is designed for groups and the program was built especially for dairy professionals and farmers. 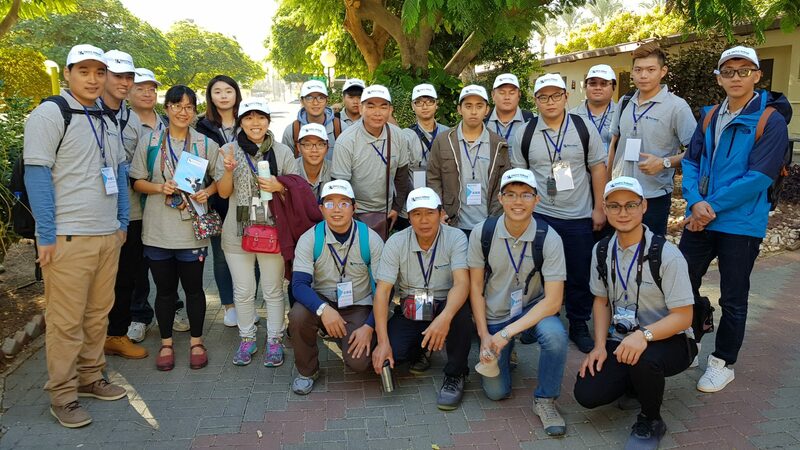 The Dairy farm management training program is a unique experience, the learning adventure combines an intensive educational program for dairy professionals, with sightseeing tours to some of Israel’s most recognizable religious and historical sites. It’s a unique experience, the learning adventure combines an intensive educational program for dairy professionals, with sightseeing tours to some of Israel’s most recognizable religious and historical sites. The educational aspect includes hands-on activities, as well as lectures given by Israel’s leading experts on the most cutting edge, scientific techniques and methods that are improving the dairy industry around the world. Our group dynamics during the seminars is excellent opportunity for dairy organizations companies to improve group members collaboration, team building and strengthen customer relationship. The final seminar program will be adjusted according to your group request. The Israeli Dairy School work with a team of 50 of the best Dairy Experts, joining the seminar you will have a unique opportunity to improve your Dairy knowledge by learning from the best Israeli Experts team. When we hold the seminar for your group you have the option to choose your topics of interest, tell us your topics of interest and we will set the seminar content for you. The time for your visit and the duration of the seminar can adjust according to your needs. Typical seminar duration is 3- 10 days and you can choose the most suitable dates for your visit. You don’t have to worry we take care of all aspects of your visit: transportation from airport, 3 meals a day, professional lectures, professional tours and sightseeing, accommodation is also arranged according to your request and budget. You will only need to buy the air ticket to Israel and we will do the rest. Main seminar language is English. The translation to other language is possible according to your request. At the end of the seminar you will receive our Dairy school certificate.